I view Saudi Arabia as a dysfunctional manifestation of Islam. In the same way, I view Israel as a dysfunctional manifestation of Judaism. This is not to mean, I hasten to say, that either Judaism or Islam is inherently at odds with the social, cultural or political lives of its adherents or with universal moral values. The point I am making specifically refers to political manifestations of certain “impulses”, if you will, in a religion – for example, the “messianic impulse” in Judaism that could lead to the claim of inalienable right to Jewish self-determination or the Islamic historic tradition of spreading the faith “by the sword” that could lead to political repression. I have the utmost respect for all three monotheistic religions and the civilizations they created in functional “manifestations” that enriched and improved the lives of the adherents of these religions – as they still do in many ways and many different communities around the world. Both Christians and Muslims regard their faiths as traditions that evolved from Judaism. This is accepted and well known when it comes to Christianity. The commonly-heard phrase “Judeo-Christian tradition” links the two religions as does the Bible; the Catholic concept of “we are all chosen people” – chosen by God as “redeemed” through the love of Jesus Christ – is a direct rejoinder to the ancient Hebrew myth that regards Israelite tribes as “the” chosen or “in covenant with God”. Not as apparent to many people is the fact that Islam too builds on that same ancient tradition and is derived from it. Thus, for example, Muslims are mystified with the “dispute” around Haram al Sharif compound in Jerusalem where Al-Aqsa Mosque is housed. As Firas Al-Khateeb points out, Muslims regard the “Temple Mount” site in Haram al-Sharif as one of the foundations of their own tradition. For Muslims, Islam was not a new religion in the 600s when Prophet Muhammad began preaching in Makkah. Instead, it is seen as a continuation and capstone of the traditions of earlier prophets that are revered by all three monotheistic faiths. The message of Muhammad only continues and perfects the messages of Ibrahim (Abraham), Musa (Moses), and ‘Isa, which had been corrupted over time. Thus, for Muslims, the Temple of Solomon that was built [on] Jerusalem’s Temple Mount in ancient times was in fact part of their own religious history. What ignited Jewish Zionist interest in Temple Mount after 1967 is the strange alliance between fundamentalist Jews and evangelist Christians. I bring all this up about religion and Palestine (aka the Holy Land), because our understanding of what is going on there is itself a battlefield, one that has confused us all and prevented us from describing the problem of Israel in Palestine accurately. But the first step in solving any problem is defining it accurately. Does the problem of Israel in Palestine reside in the ideology of political Zionism as divorced from religious Zionism as divorced from Judaism, an ancient tradition whose adherents, for various historic and cultural reasons, were not easily assimilated into other societies until late in the modern era? Or is the problem rooted in 19th-century nationalist movements and settler-colonialism divorced from the particularity of the colonizers as Jews? Or does the problem lie in the uncivilized nature, religion and culture of the native Palestinian Arab? Since 1948, the struggle for justice in Palestine has been controlled by outright lies and “narratives” meant to put a good face on Judaism and “Jewish identity”, rather than by international law meant to protect the weak against forceful conquest. The most enduring question Palestinians continue to ask is: “How can it be possible that ‘the world’ is so blind to the justice of our cause?” By “justice of our cause”, they mean justice that moves to redress ethnic cleansing, Apartheid and continuing dispossession and subjugation. By “the world”, they mean primarily Western powers, Christian Zionists and Jews worldwide, most of whom have long supported Israel. The most difficult answer to tackle is the one related to Jews. One can read a book like Alison Weir’s Against Our Better Judgment: The Hidden History of How the United States Was Used to Create Israel and quickly understand how US support enabled the creation of Israel and why. History books like Jonathan Schneer’s The Balfour Declaration or Rashid Khalidi’s The Iron Cage will give one the facts about British involvement in Palestine, but the result of my experience with books on Zionism is confusion rather than clarity. I am certainly far from understanding exactly how “Zionism is Jewish messianism in process of realizing itself through this wordly-means”, as Arthur Hertzberg defines it (or a strand of it) in the introduction of The Zionist Idea: A Historical Analysis and Reader. But, whether from the teachings in their synagogues or their home upbringing as secular Jews, or in Israeli schools or summer camps or “birthright” trips to Israel, etc., many have somehow imbibed Theodor Herzl’s interpretation of the “post exilic history” of the Jews as an insoluble struggle with anti-Semitism, and the Jewish state as the solution to that evil. What the average Palestinian understands viscerally is the fact that millions of Jews (regardless of their political or religious or nationalist ideology or “identity”) have displaced (and replaced) non-Jewish Palestinian Arabs in their own homeland, claiming it as their own. Millions of Jews worldwide support – no, fiercely demand – the existence of the Jewish state and Jewish supremacy in Palestine, the “Holy Land”. And yet, there is obfuscation everywhere. The term “Israeli” is used in the mainstream media and even by activists to refer to Israeli Jews — this is because the 20.8 % of the Israeli population that is Palestinian Arab (Muslim and Christian) does not count and there is no such thing as an “Israeli” nationality. The word “Jewish” is never used as a qualifier of the word “settlements” in mainstream media, even though, in fact, they are built exclusively for Jews. Again, “Israeli” is preferred. Until recently, one couldn’t even say “Jewish State” without first hastening to put it in quotes – i.e., to indicate that Israel has little to do with Jews or with Judaism and everything to do with Zionism, for fear that the designation would implicate “all” Jews. 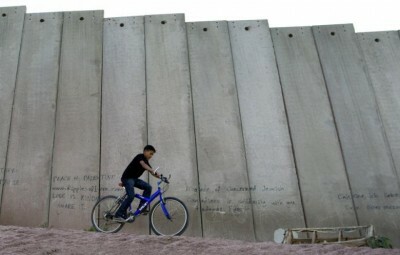 This is not to say that Zionism, especially in its interpretation as a settler-colonial project, does not accurately describe the driving historical forces and buried Palestinian tragedies that have shaped Israel, but only to say that political correctness is often used, intentionally or unintentionally, to obscure the particularity of the Palestinian Arab – Jewish dynamic that dominates the issue and is always the elephant in the room. Critics of Israel (Jews and non-Jews) have worked hard to point out the dangers of conflating Zionism with Judaism, mostly in defense of Judaism and “Jewish values”, thus unintentionally derailing the focus from defense of Palestinian rights. But I think it is now time to move this struggle among Jews themselves forward in order to achieve a critical mass of Jewish solidarity with Palestinians, without which, I am afraid, Palestinians are doomed. Zionism is Jewish nationalism and uses Jewish historical, cultural and religious symbols to political ends. Whether or not it is inevitable and implicit in Judaism, it certainly presents itself as such. It may not be so different with Wahabbists and Right-wing Christian supremacists: they’ve hijacked their religions to some degree and out-shouted more tolerant and less aggressively political versions of those religions (this is not an equation, just a parallel). It’s up to Jews to repudiate this aggressive political nationalist variant of Jewish identity linked to settler colonialism, separation and supremacy, and embrace other, more tolerant and inclusive visions. There is a comparison to be drawn for sure, and moving the conversation/debate forward in this direction can only be helpful to Palestinian Arabs, Muslim and Christian, whose unfortunate destiny is tied to a hijacked “Holy Land”.